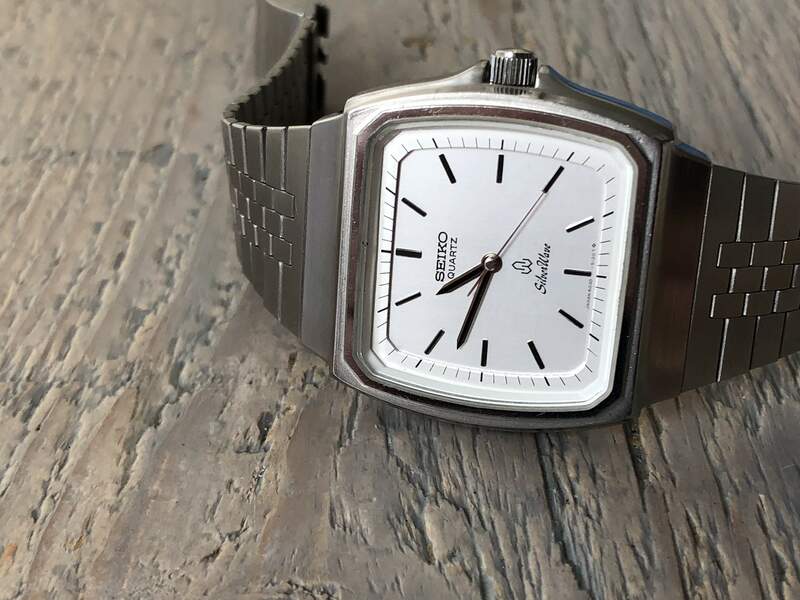 With many different calibers, the Silverwave Quartz was definitely present in the seventies. 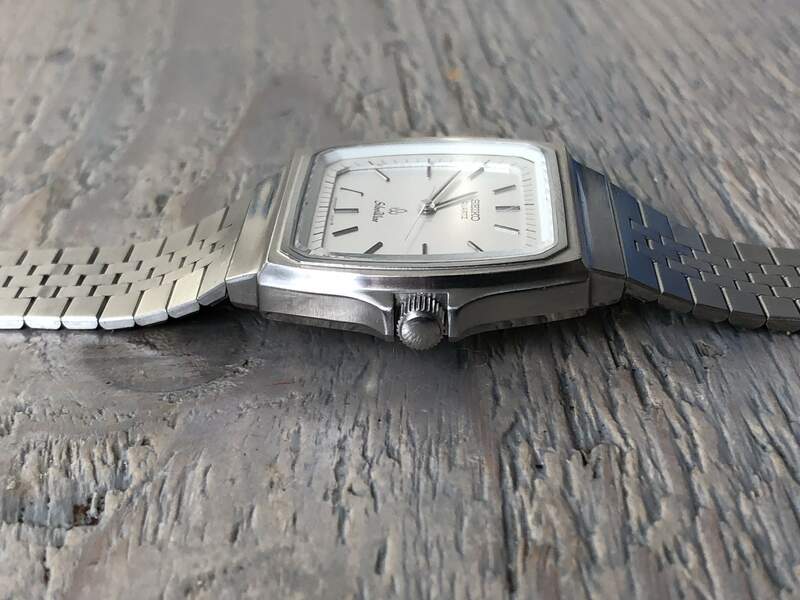 At about half the price of a King Seiko, but above the Type II, a caliber like the 6030 inside a Silverwave case is very robust, more so than inside the Type II case. 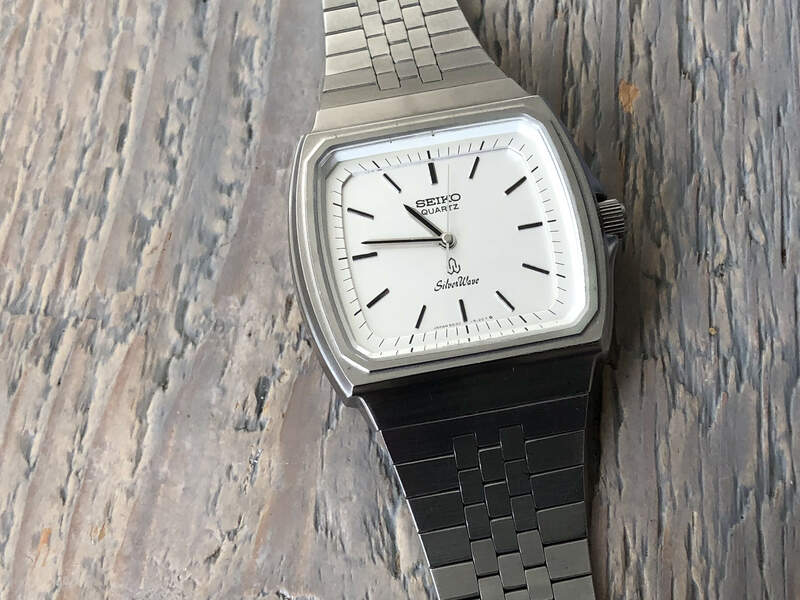 As such it was an early experiment by Seiko to make a water resistant watch that can take a punch. The tsunami caseback logo is used to denote specific attributes. 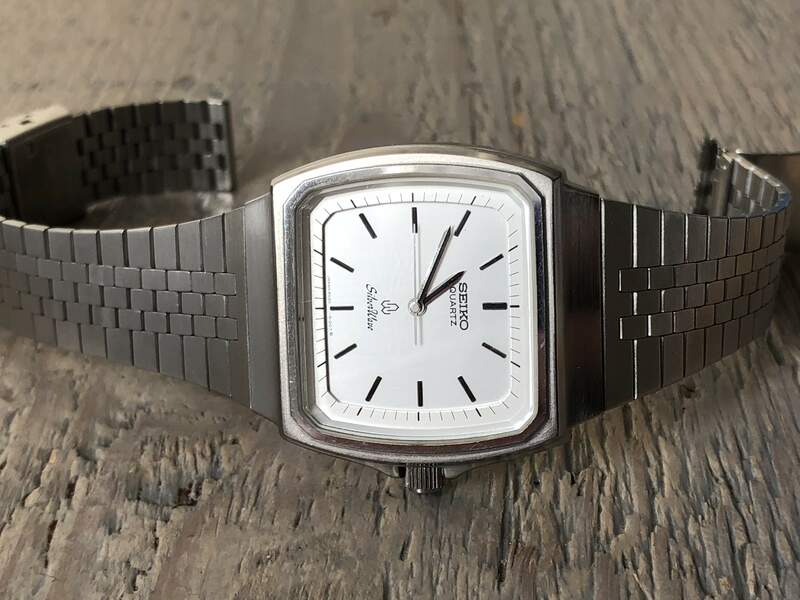 It is used to signify a watch that is intended to get wet and it has shown up on various waterproof\/diver watches from the old Silverwave through the pro and other divers of today. For the discerning collector, the tsunami logo comes in several different forms, with small, one or two waves, up to the realistically rendered full wave. A good rule of thumb is that the bigger the wave rendered the greater the watches water resistance and performance attributes (Diver\u2019s watches all come with the full tsunami caseback logo). So a very sporty watch, tough, manly angular and well prepared for the active lifestyle of the get up and go businessman or maybe even a blue collar worker? 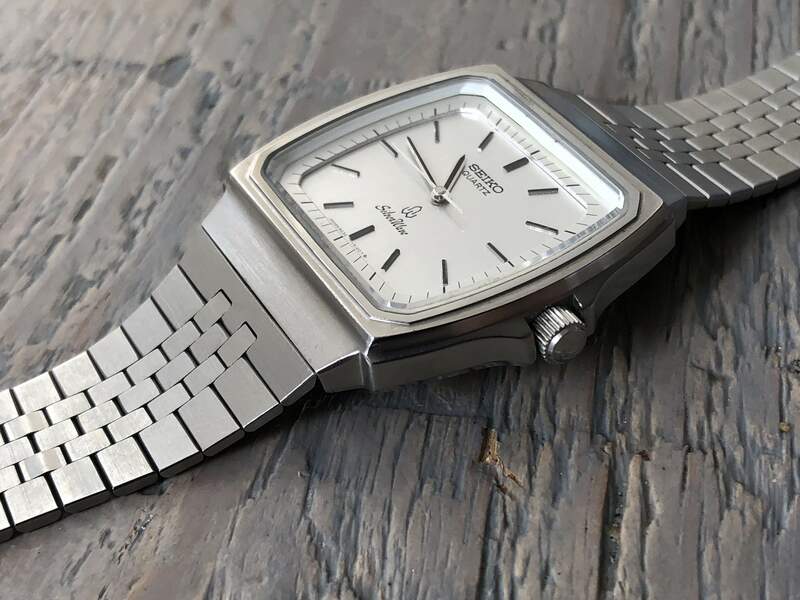 With many different calibers, the Silverwave Quartz was definitely present in the seventies. 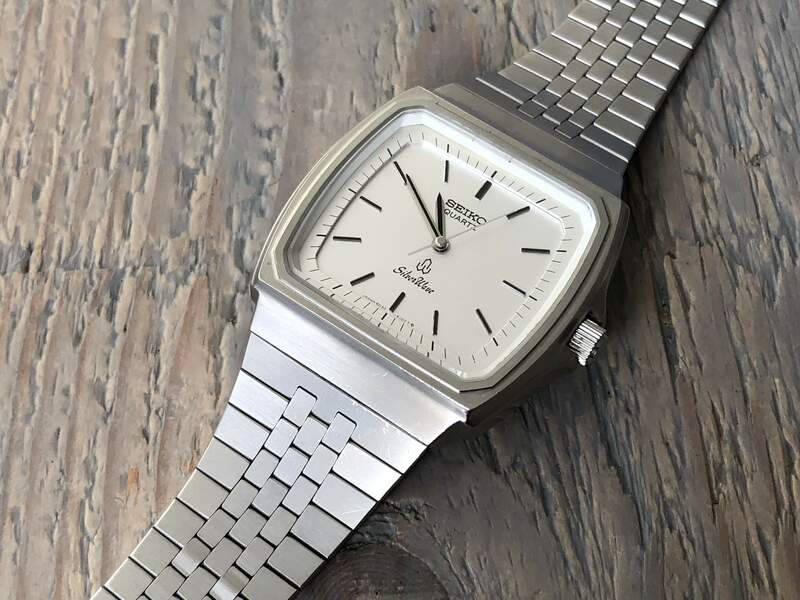 At about half the price of a King Seiko, but above the Type II, a caliber like the 6030 inside a Silverwave case is very robust, more so than inside the Type II case. 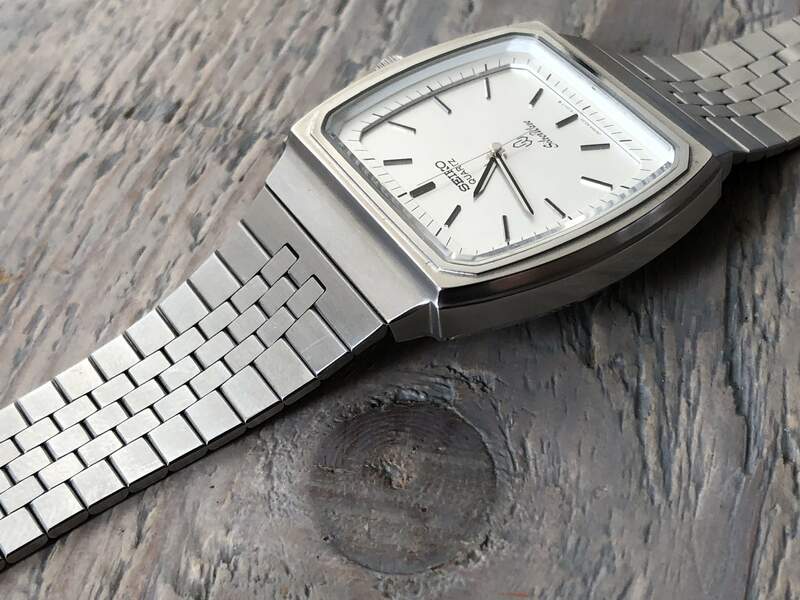 As such it was an early experiment by Seiko to make a water resistant watch that can take a punch. The tsunami caseback logo is used to denote specific attributes. 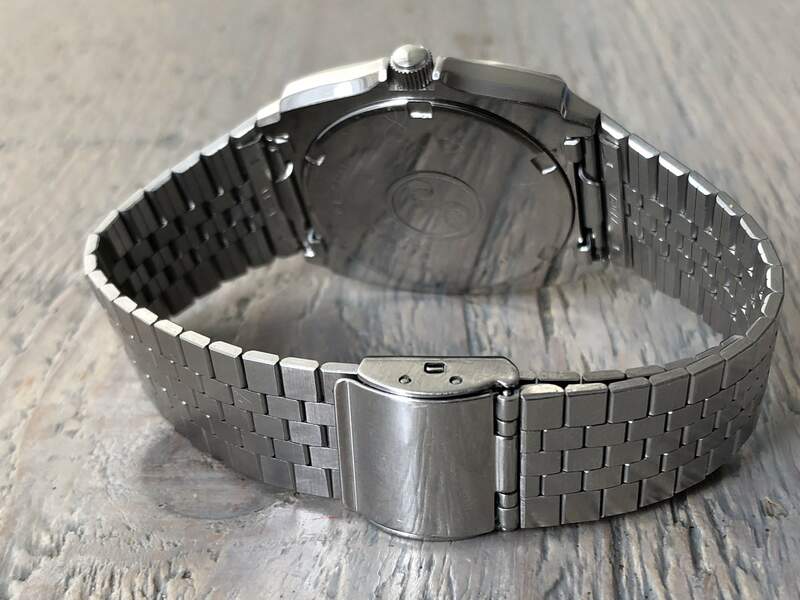 It is used to signify a watch that is intended to get wet and it has shown up on various waterproof/diver watches from the old Silverwave through the pro and other divers of today. For the discerning collector, the tsunami logo comes in several different forms, with small, one or two waves, up to the realistically rendered full wave. A good rule of thumb is that the bigger the wave rendered the greater the watches water resistance and performance attributes (Diver’s watches all come with the full tsunami caseback logo). 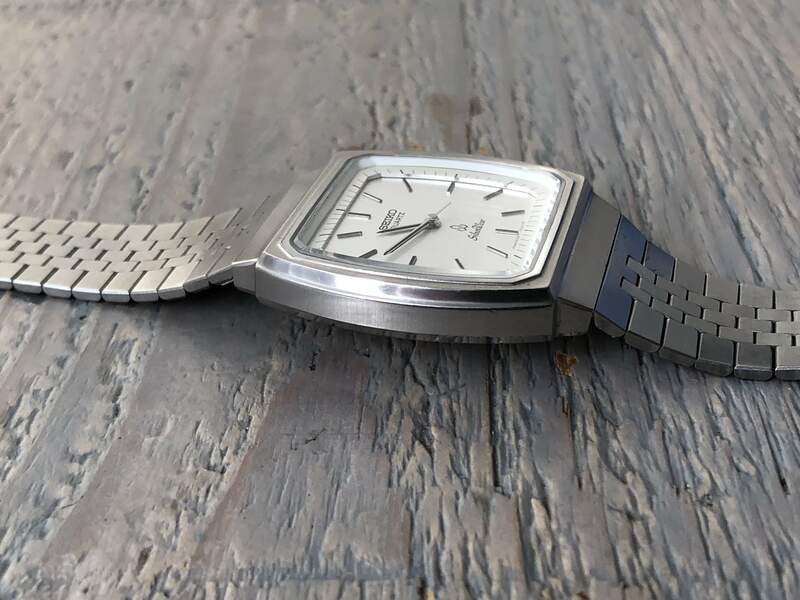 Silverwaves then are all about the casing, one can expect a screw down crown at 3 or 4 o'clock with crown guard and a screw in case back – even a unidirectional bezel. Most other Quartzes were not so equipped, sporting a battery hatch for example and a push crown. 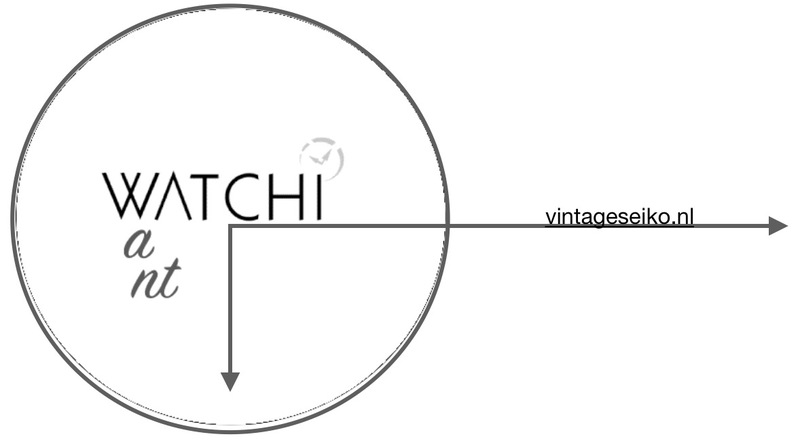 Looking at the dial legibility is key, especially at night. The markers of a Silverwave certainly can be all lume, the hands then of course as well, and the seconds hand even has that lume tip usually found in divers.